Many places being cited as examples of cities reborn - including London, New York, Los Angeles, Singapore, Sidney - owe their renaissance to growing populations of the foreign-born, writes William Lacy Swing. William Lacy Swing is Director General of IOM, the International Organization for Migration. It's an inescapable truism that's begun to sink in with leaders worldwide and which, very soon, will become obvious even to those most opposed to our current wave of human mobility. 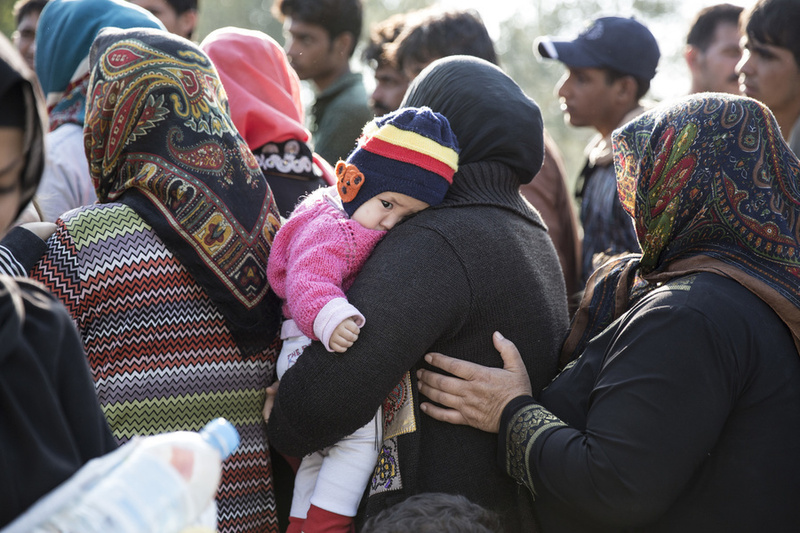 Could a million African, Asians and Middle Easterners really be bound for Europe this year? Certainly--and arguably numbers almost as large are plying migratory routes linking regions of Latin America, East Asia and Africa. The media images of such mobility can be scary, while the challenges destination countries face integrating these new arrivals are great. Yet mobility, movement, migration - by whatever name we choose to call it - is unstoppable. It's coming to a city near you - and that's a good thing. "Sophisticated" urban folk are looking, yes, to exploit the newcomers - but also to put their drive into the service of the common good: to work, thrive, spend their earnings and spread their wealth among us all. Historically - almost up into our present century - the villager entering our midst was one of us, arriving already speaking his new neighbors' language, and sharing their religion. Today the villager coming to our city is almost always a foreigner - a migrant. Think on that: 500 million ambitious peasants filling cities across the globe. This week (October 26-27) IOM will examine this phenomenon in a Geneva conference called "Migrants and Cities: New Partnerships to Manage Mobility." Speakers will include mayors, academics, migration ministers, businessmen and, of course, migrants. They'll discuss how migrants already are transforming cities that only recently were being given up for "dead" but that today are being rediscovered as thriving centers of profit, commerce and culture. According to findings to be presented at this week's conference, many places being cited as examples of cities reborn--including London, New York, Los Angeles, Singapore, Sidney - owe their renaissance to growing populations of the foreign-born. Each of those cities today a boasts foreign-born population exceeding 37% of the total, an astonishing degree of imported talent. Globally, many cities now incubate such imports in even greater proportions. Toronto, one of the world's best-run cities, now has a foreign-born population approaching 50% of its whole. Proportions in Brussels (62% foreign-born) and Dubai 83%) are even higher. Meanwhile in the developing world - where comparable statistics are often not available - the same scenario is unfolding. Gabon's Libreville and Lagos, Nigeria - two examples of West African boom towns - have gained reputations as places with the ability to attract and retain talent from across the continent. Cities attract migrants because in diversity there is opportunity. Migrants save cities because migrants are more likely to be makers (and spenders) of growing incomes than they are to be takers of public assistance. Migrants, too, are likely to be young adults looking to advance in new careers, with young families looking to buy homes - often even if that means buying in neighborhoods natives have long since abandoned. It's already happened in US cities like New York and Chicago. In the latter, nearly 600,000 new Americans arriving since the 1970s largely replaced the so-called "white flight" exodus of refugees fleeing to the suburbs, the result of which was a hollowing out of Chicago's old industrial zones, and the shattering of an historic connection between working families and good manufacturing jobs. In fact, in U.S. cities where migration has been strongest, manufacturing often survives. That's because migrants don't come to steal natives' jobs, but to preserve them. By demonstrating a willingness to be "exploited" at prevailing wages shunned by the educated children of factory workers still on the job, migrants effectively keep those U.S. work-places from traveling offshore - to Asia, say, or Latin America. In a similar vein, migrants preserve urban wealth. According to research being done for IOM's Migrants and Cities conference, migrants are responsible for boosting - by trillions of dollars - home equity value for all US families, a process occurring most notably in metropolitan areas. Since the typical immigrant lives in a county with 800,000 housing units - that is, a major city - the average immigrant raises the total value of housing wealth in his or her community by $92,800. The significance of this becomes clearer at the national level: the nation's more than 40 million immigrants have powered an estimated $3.7 trillion boost to home equity nationwide. I could go on. In America, where I was born, the rise of entrepreneurship - particularly in poor African-American neighborhoods and Latino barrios - has soared in the past 20 years, a period characterized by foreigners' surge into US cities. According to the U.S. Census Bureau's Survey of Business Owners, the number of "black owned" companies (operated or controlled either by US-born or immigrant entrepreneurs) has exploded to nearly two million in the early years of this century - or roughly one business for every twenty African-American residents. The surge in new-job creation was even more pronounced among Latino and Asian-Americans. The reasons are varied - among them, Americans' general welcoming response to new-businesses, as well as the trade and marketing synergies available from imported Americans' ties to diaspora communities worldwide. Yet it's the results that matter most, and growing entrepreneurship is certainly one of them. In other words migrants don't threaten our cities. They rescue them.